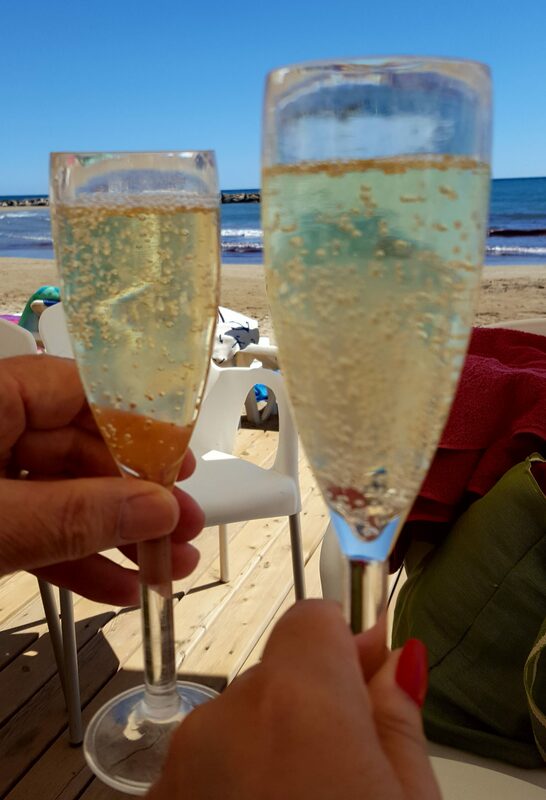 Yesterday we wandered into Sitges ready to embrace the crowds that gathered for Sant Jordi Day. Legend has it that on this day the knight Sant Jordi (presumably St. George in England) slew the dragon and saved the princess. So on this day it is traditional for boys (knights) to give their girls (princesses) a red rose accompanied by a sprig of wheat which symbolizes longevity. The princess then gives the knight a book. A day for love…what could be better? Along the promenade there was also traditional Catalan dancing. A circle of people that seems to start small and then grows as many more join in. I love the little boy dancing on the left side at the end of the video. As we wandered farther down the promenade we arrive below the church to find the Antic Sitges 2017 Jazz Festival underway with Big Band Sitges. Fabulous jazz which had people dancing the afternoon away. The Sunday we arrived there was an art festival taking place on the promenade. Last weekend’s Easter celebrations brought families from all over to enjoy the “quiet” seaside. There was a yacht regatta taking place as well. Along with this weekend’s festivities there was also a round of the Ladies European Golf Tour at Club de Golf Terramar. Our initial reaction is to stay home in the tranquility of the vineyard and avoid the crowds. However, we are a part of this community now and want to embrace it completely. It was exhausting so we did have to stop for a drink at El Sunset de Sitges one of the many interesting bars in Sitges. Elvira, thank you for reading. We look forward to showing you guys around when you visit. Hi Dale. Thank you for reading! It is an adventure!